To learn more about the work and programs moving the Maumee Area of Concern forward, please review the DMDS tab. The DMDS provides the status of current projects including conceptual, planning-stage, in-progress, completed, and ongoing. It also offers the current status of the Beneficial Use Impairments (BUIs) for the Maumee AOC. This tool is a one-stop-shop for monitoring progress in restoring fishable, swimmable, and drinkable waters. What happened to the Maumee RAP? Much like in nature, the Maumee RAP has been on a continual journey of evolution over the last 25 years. The Maumee RAP has evolved through many phases and with that evolution comes many changes…in structure, in process, in name, and in the terminology used and what it means. 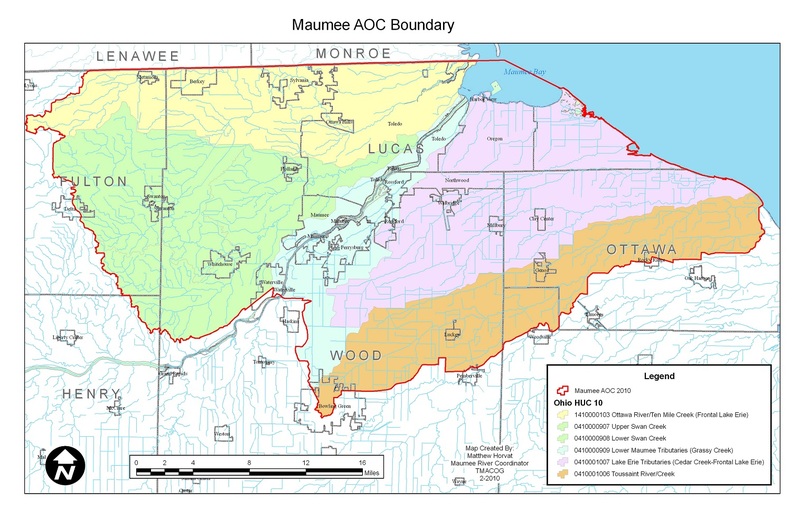 Most recently, the Maumee RAP has become a stand-alone committee now called the Maumee AOC Advisory Committee (MAAC for short). But the heart of the process remains the same. It is still a collaborative, locally-based group of dedicated people working through the state and federal Areas of Concern program to restore fishable and swimmable waters. This local AOC committee will continue to liaison with Ohio EPA and U.S. EPA, while both agencies work closely with the Canadian counterparts through the Great Lakes Water Quality Protocol of 2012 to address key environmental health issues that are severely impacted in areas of concern around the Great Lakes. The Maumee RAP (Remedial Action Plan) Committee, set up originally under TMACOG (Toledo Metropolitan Area Council of Governments), was made up of government officials, businesses and industries, universities, and other interested individuals with a passion for cleaner water. The group was charged with developing a Remedial Action Plan and today, with a slightly different name, the committee continues to works towards fishable and swimmable water within the greater Toledo-area through projects to improve the Beneficial Use Impairments. The committee is now a stand-alone committee, reformed and re-named the Maumee AOC Advisory Committee (MAAC). The committee works on collaboration and planning with partners, working closely with state and federal agencies, identifying and recommending key projects needed to improve the Area of Concern, and public education and volunteer opportunities through Partners for Clean Streams. 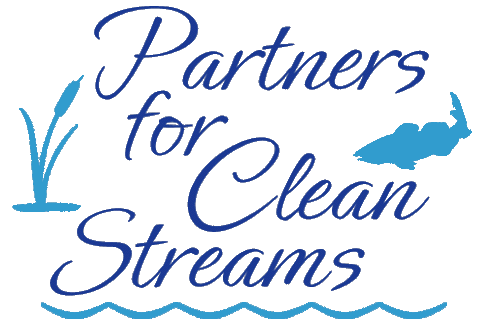 Partners for Clean Streams serves as the Facilitating Organization so the MAAC and PCS are still very much connected in their goals of delisting the Maumee Area of Concern. The Maumee Area of Concern was established in 1987 in accordance with the Great Lakes Water Quality Agreement, overseen by the International Joint Commission, which defined areas of concern. US EPA and Ohio EPA set the policy and program direction and oversee the Areas of Concern. The work of the Maumee RAP and its partners occurs in three stages aiming to permanently improve water quality of the rivers and streams in the AOC by correcting and removing biological or chemical issues, also known as Beneficial Use Impairments (BUIs). The Maumee AOC has 9 of the 14 identified BUIs. One BUI was removed recently. The three stages include identification of environmental problems and sources (completed in 1992), elimination of pollution source to improve water quality (currently in progress), and monitoring to confirm the impairments are removed and an Area of Concern can be delisted. The MAAC meets every other month and all meetings are open to the public. Be sure to read our next quarterly newsletter for information about how you can join the conversation.